5, 4, 3, 2, 1. Make it magical – make it funny – make it witty – make it fun; and make it pretty difficult for people not to lose themselves in the story that's being told. 1 & 2 & 3 & 4 - It’ll leave you asking questions - it’ll leave you wanting more (hopefully!) - it’ll make you wonder why you’ve not heard more about this strange guy called Aesop who lived nearly three millennia ago so they say - give or take a couple of hundred years either way - his story is one amazing story! 3 favourite things about playing the Fringe? (1) The heady atmosphere of fun (2) The enormous number of quality things you can do (3) Quite simply, the camaraderie. Give me 1, give me 2 – I’ll make a story from the numbers – and hand it back to you – and you can take it with you – and tell it when you’re on a journey, which will lead you to the end of a rainbow, where you can hang it on a song. 1 word to sum up the Leon Conrad style? An infinite number would be quite insufficient as far as I’m concerned! 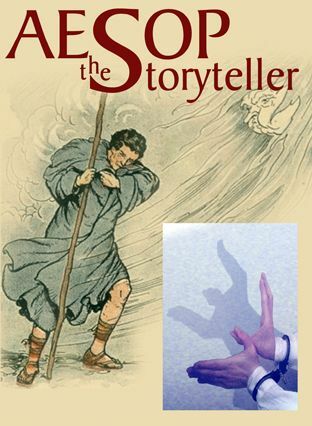 Aesop The Storyteller, Hill Street Theatre, 226 6522, until 24 Aug (not 13 & 20), 12.25pm, £8.50–£9 (£8–£8.50).